Hikarunoechigo Japanese Restaurant, whose chef is also Japanese, is on my Zhongshan MRT station restaurant recommendation list. 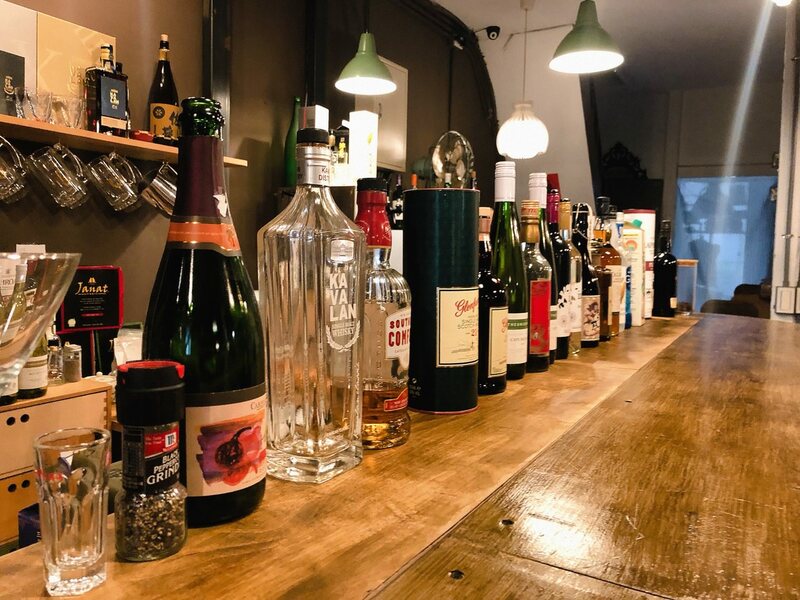 光の越後餐廳介於中山捷運站四號出口和雙連站一號出口, 在同一側的餐廳包括 ”Hana Bi 居酒屋“ 和 “二月半蕎麥麵”, 轉進赤峰街內, 修車行林立, 很難想像光の越後餐廳位於鄰近老宅裡的二樓. 通往二樓的樓梯相當陡, 需要特別小心,光の越後餐廳的裝潢簡樸, 與 “饞食坊”裝潢有幾分相似, 除了有吧台單人座位外, 也有四至六人的座位, 坐在吧台時, 油煙味些許重, 但是在可以接受的程度. 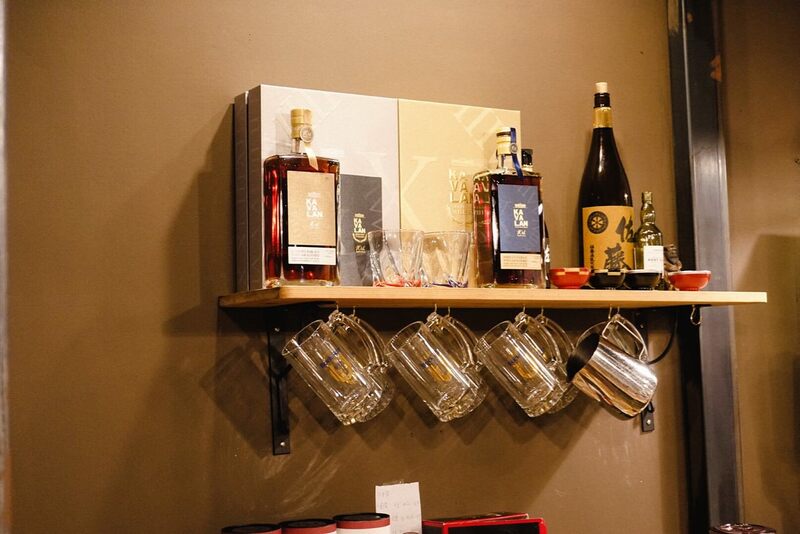 Hikarunoechigo Japanese Restaurant is in between Zhongshan MRT station Exit 4 and Shuanglian MRT station Exit 1. 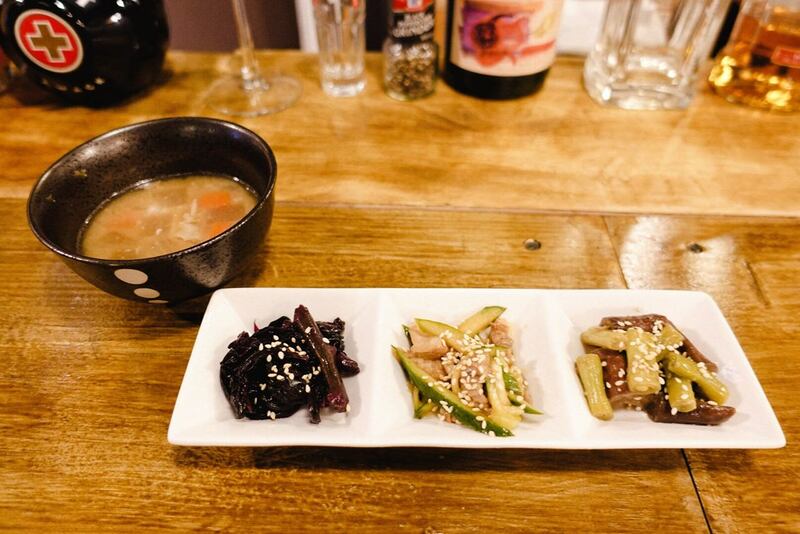 The nearby restaurants include “Hana Bi Japanese Restaurant” and “Buckwheat Noodle Restaurant”. It is hard to imagine a restaurant is in the alley that have many car/motor body shops. 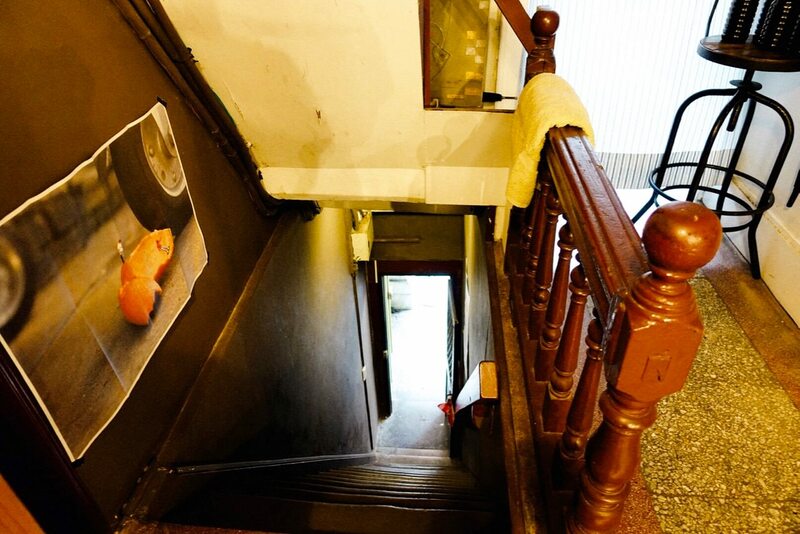 The stairs to Hikarunoechigo Japanese Restaurant are a bit difficult to climb if you have bad knees. 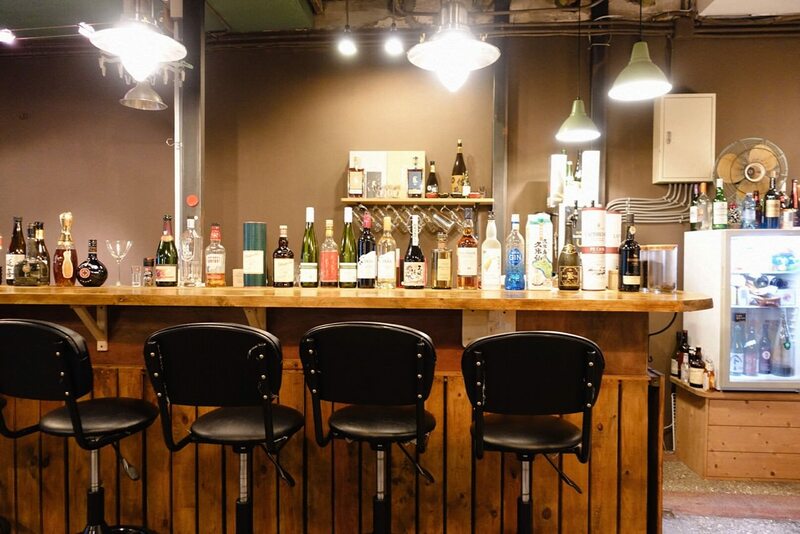 The decoration of this restaurant is similar with “Zen Food Restaurant”, which has bar seats and multi seats. 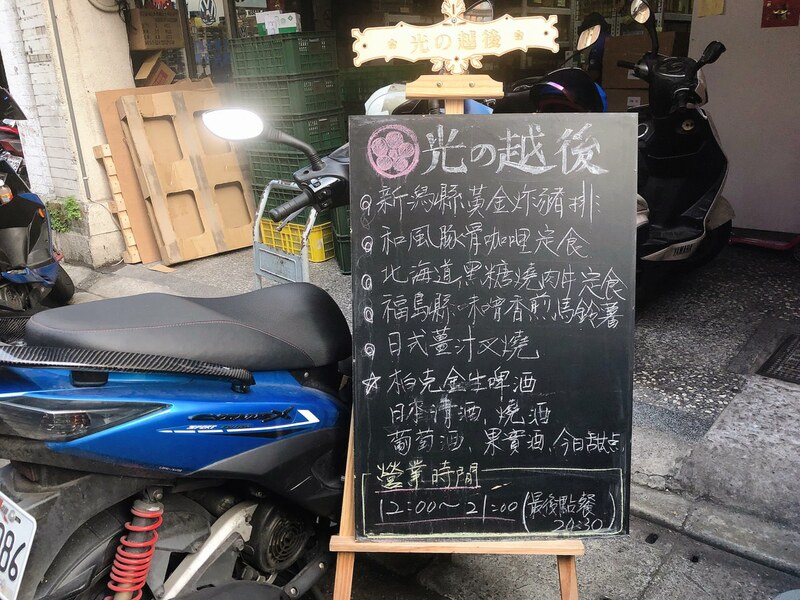 日本籍阿光師除了光の越後餐廳外, 之前在台北東區的 “鎌倉咖啡 Kamakura Cafe“ 也是阿光師和奈奈店長所經營, 光の越後嚴格來說並不是像 “富 四季割烹”的正統日本料理餐廳, 我會稱作這裡為日本小酒館, 因為除了一排酒瓶外, 吧台旁也有一台柏克金啤酒機器. 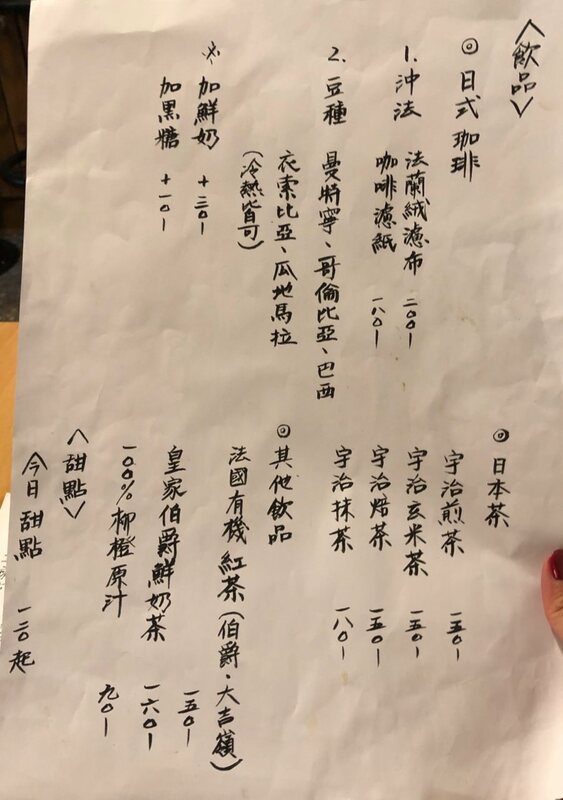 菜單不定期更換, 也有手沖咖啡和甜點的選項, 由於這家餐廳號稱不定期休, 需要注意光の越後Facebook 粉絲頁. 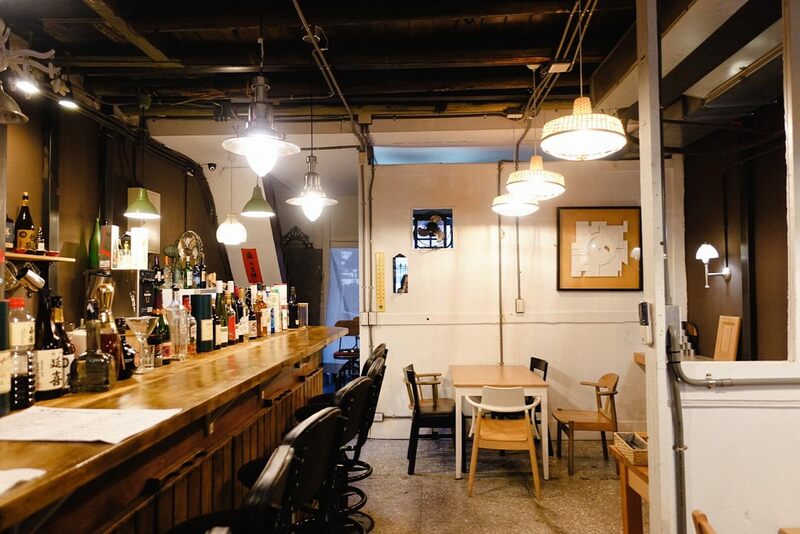 Besides Hikarunoechigo Japanese Restaurant, there was another “Kamakura Cafe” at Taipei East District. 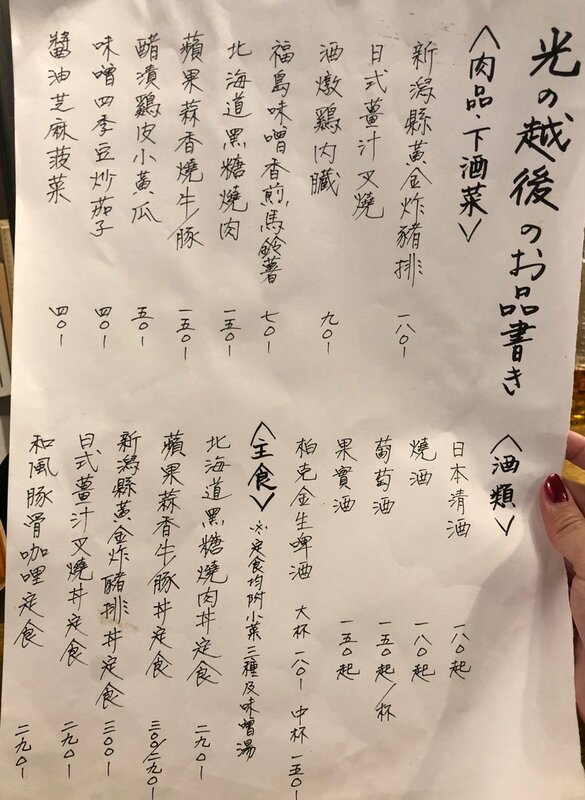 Strictly speaking, Hikarunoechigo Japanese Restaurant is not a classic Japanese restaurant like “Fu Kappo Japanese Restaurant”. I would call this place as Japanese Bistro. Besides wine/whiskey/sake bottles on the counter, there is also a Buckskin Beer Machine. 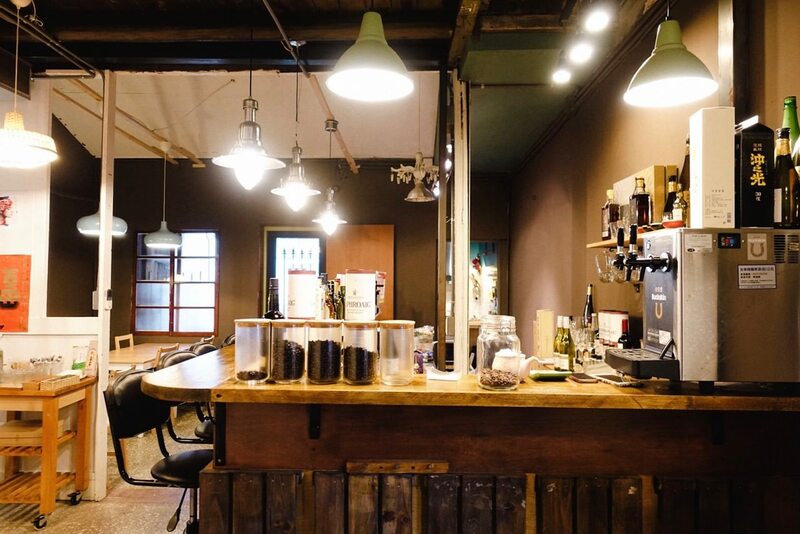 They change the menu irregularly, with desserts and coffees. Please note the Facebook fan page for its day off. 單點和風豚骨咖哩定食(無炸豬排) 是 NTD $290 , 有包括味噌湯, 三碟小菜和主餐. 很多人稱這款 ”和風豚骨咖哩定食 + 新瀉縣黃金炸豬排“為隱藏版. 白飯份量適中,咖哩顏色並沒有像 “富士咖哩”偏深, 而是迷人亮褐色, 咖哩大約佔了一半碗盤, 單吃越光米飯時, 除了柔軟度高外, 也有意想不到的米香, 花了八小時熬煮的豬肉咖哩內有紅蘿蔔和菇類, 經典日式咖哩風味裡帶有些辛香, 一旁的生菜與小番茄則是勾勒出更多日式風格, 我個人推薦這道料理, 但是因為份量不多, 可能還需要多點其他料理, 請先打電話確認當天有無咖哩飯. 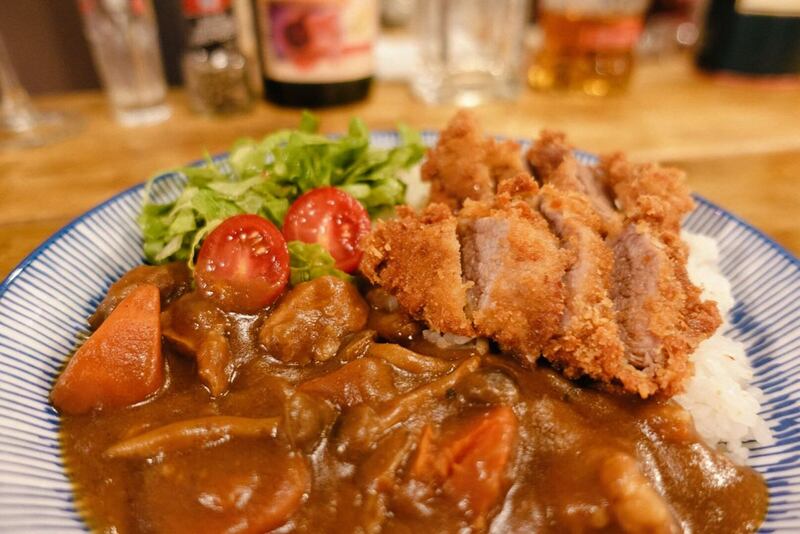 The Japanese Curry Rice (without Fried Pork Shop) is NTD $290 along with miso soup and three small side dishes. The quantity of the rice is fair amount. 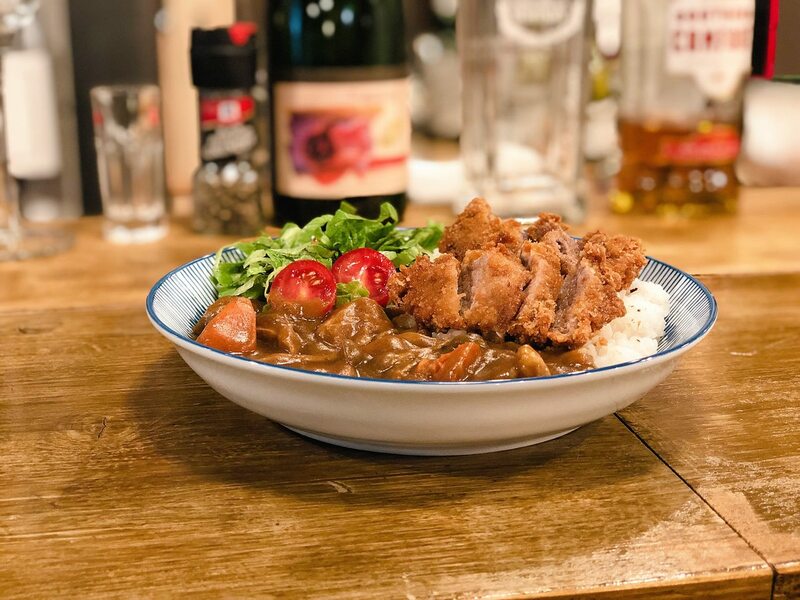 The curry color is not as dark as “Fuji Curry”, instead, it is a bit of shiny light brown color.The curry is about half of the plate. The chef uses Japanese rice, which texture is very soft and full of rice aroma. The curry is stewed in 8 hours along with carrots and mushrooms. 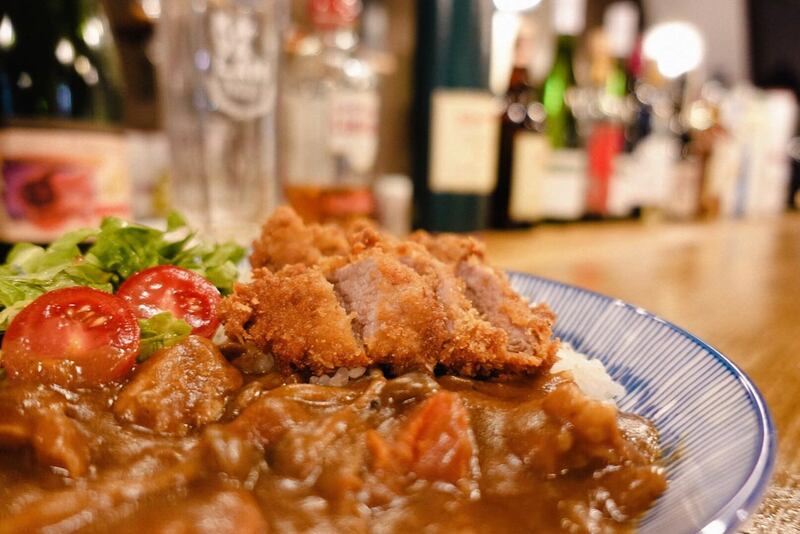 The classic curry flavor has hints of spicy flavor. 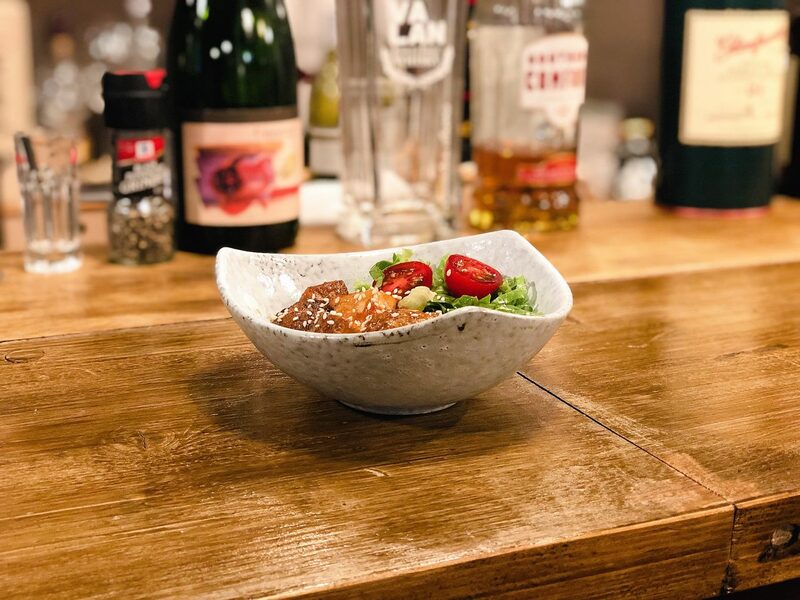 The salad and small tomato gives the impression of Japanese style. I personally recommend this dish. However, you might need to order more to fulfill the stomach though. Please call prior visiting to check if they have curry rice or not. 多加NTD $80 即可有新瀉縣黃金炸豬排, 如名有著亮眼的金黃色, 端上這道咖哩飯時, 店長提到這款豬排有淋上蜂蜜醬油味, 每一塊現炸豬排外皮都相當酥脆且嫩, 並不會過鹹而是帶有些許甜味, 我個人蠻喜歡光の越後餐廳的炸豬排, 若是不想吃咖哩飯, 我會建議直接點新瀉縣黃金炸豬排丼定食 (NTD $300). If adding NTD $80, you can have the Fried Pork Shop. The golden color pork chop coating is crispy. 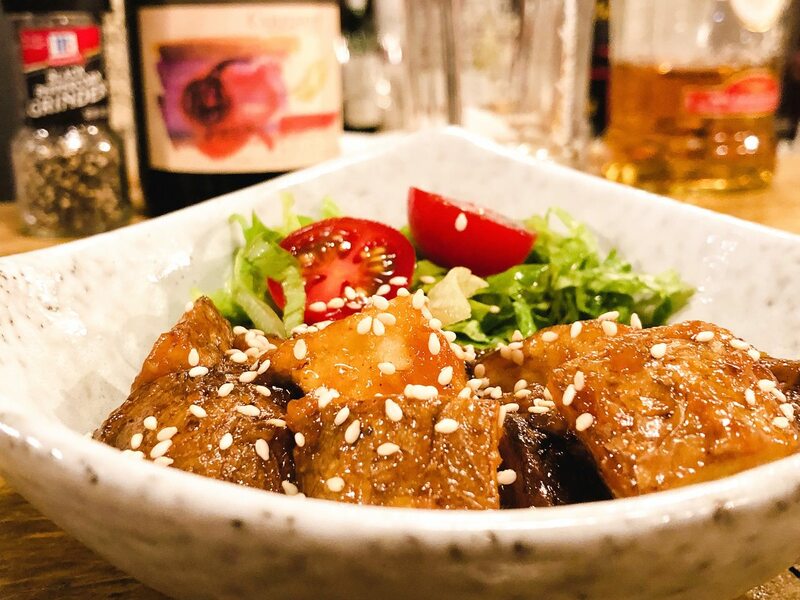 The owner mentions that the pork chop has a bit of honey soy sauce. Each slice of pork chop is crispy but yet tender in the inside. Delicious is probably the only adjective that I can think of. 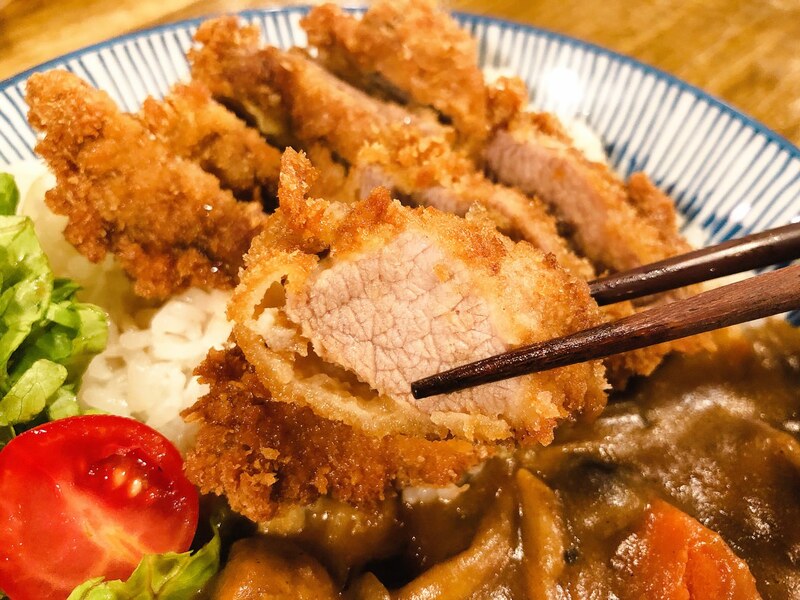 If you do not want to eat curry rice, you can also order their Fried Pork Chop Rice Bowl Set. 和風豚骨咖哩定食有包括三碟小菜, 且不定期更換, 我個人喜歡雞皮小黃瓜 (圖二中央), 另外兩道小菜是紅鳳菜和茄子. The set includes three side dishes, which changes irregularly. I personally like the cucumber with chicken skin (In the middle of Picture 2). 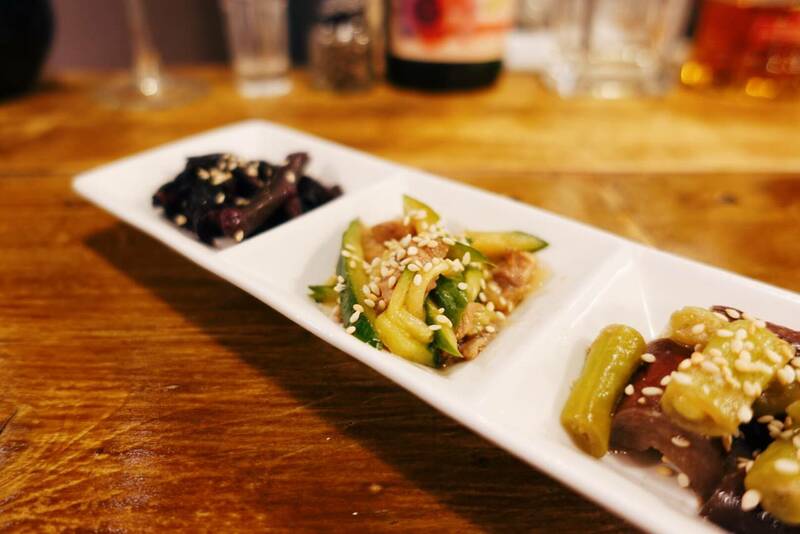 Other two dishes are pickled vegetables and eggplants. 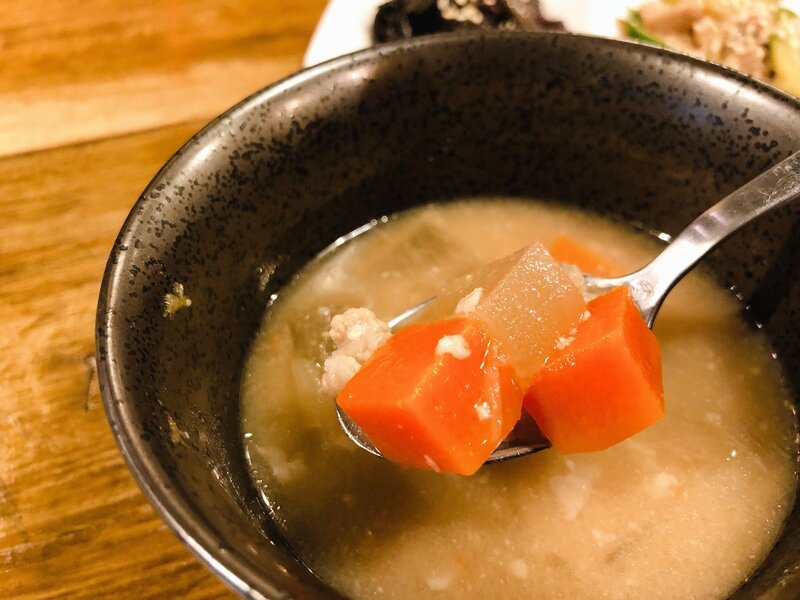 The miso soup has ground pork, carrot and small size tofu. 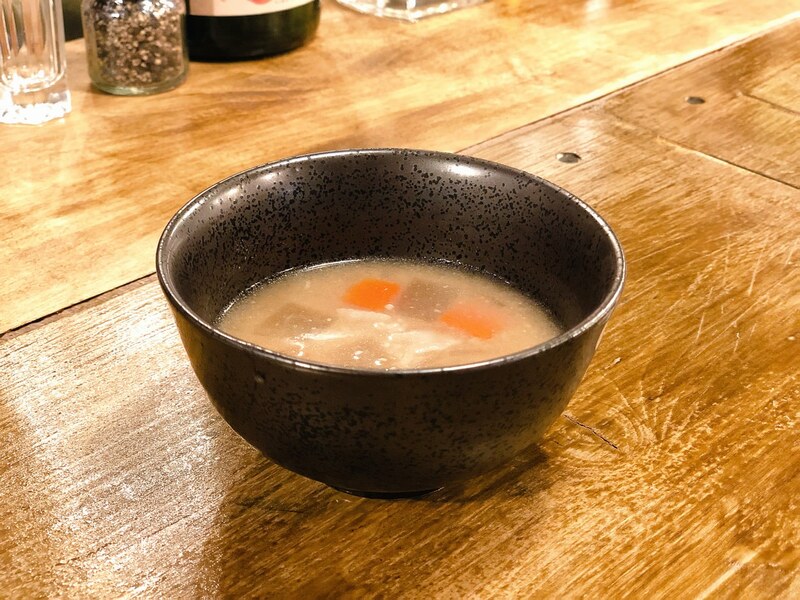 As a set soup, it is pretty decent. 光看名稱, 我以為這道料理是鹹味料理, 直到品嚐的那一刻才知道這是一道以甜味為主導的料理. 每一口馬鈴薯皆是濕潤, 紮實口感, 若是想品嚐道地日本風味, 這道料裡也許適合你. 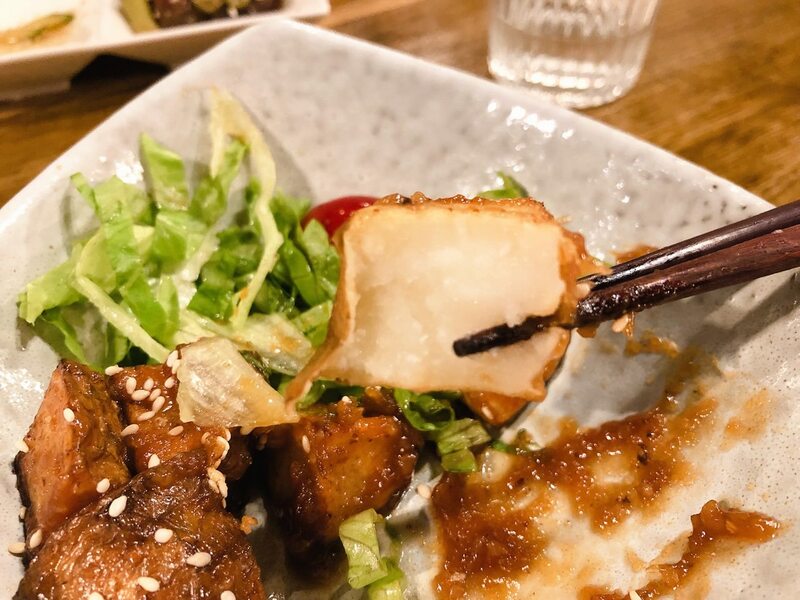 I thought this Miso Pan-Fried Potato is a salty dish instead of a sweet dish. Each bite is moist but yet dense texture. If you like the classic Japanese flavor, this dish might be one of your options.